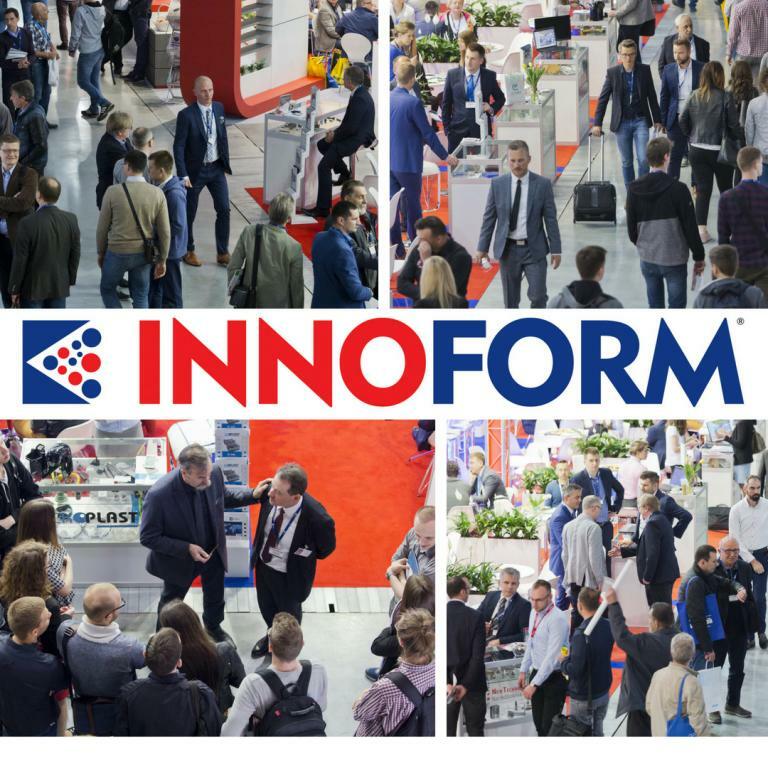 The end of April marked the end of the 2nd INNOFORM® Trade Fair – the only event in Poland dedicated mainly to the representatives of the tooling and processing industry. It was highly praised by the exhibitors, who above all highlighted the large turnout of specialised visitors looking for specific technological solutions. They, in turn, complimented the exhibitors for their comprehensive offer, the presentation of cutting-edge technologies and the opportunity to hold merit-based talks with high-class technical advisors. The attendees of this year's edition of the INNOFORM® Trade Fair were not only visitors from Poland, but also from the farthest corners of the world – Congo, Bangladesh, and Malaysia, to name a few. In total, nearly 3 000 people took part in the event. In the end, the list of exhibitors included 263 companies, among others from Austria, Czech Republic, Slovakia, South Korea, Japan, Germany, the United Kingdom, and Italy. The trade fair can take pride in more than just exhibitors from all over the world, but also a rich agenda with a perfectly developed thematic scope profiled for the industry. Two expert conferences were waiting for the visitors: “CONFERENCE ON TOOLING AND PLASTICS PROCESSING” and this year's new topic: “CONFERENCE ON ADDITIVE MANUFACTURING TECHNIQUES IN TOOLING AND PLASTICS PROCESSING INDUSTRIES”. The Brokerage Event was also very popular – an ideal place for business talks and establishing business relationships here and now. During this year's Brokerage Event, 94 meetings took place, including 19 international meetings.